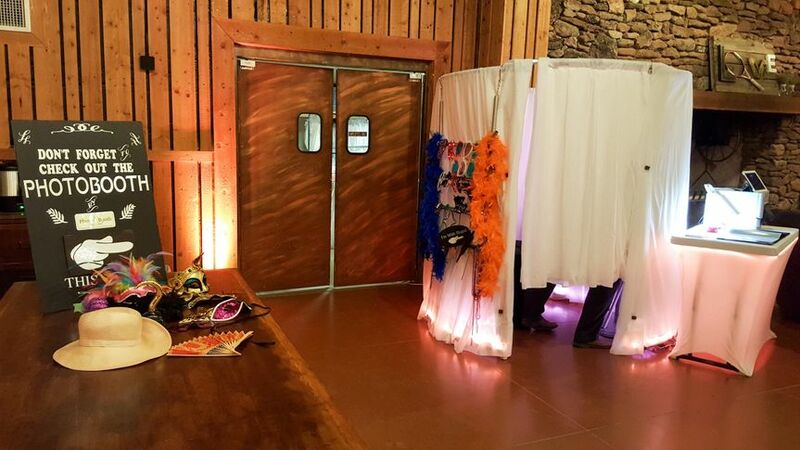 Your special event will stand out from the rest with Photo Booth Del Sol. This is not your ordinary photo booth, but is a centerpiece of party entertainment. Catered to you, we customize lighting, music, photo frames, branding, and more. Taking amazing photos is fun for everybody of all ages. 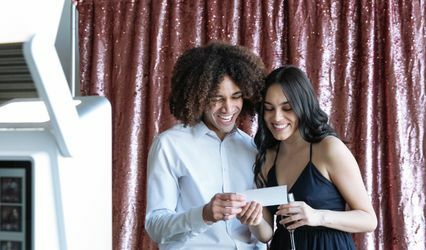 Let Photo Booth Del Sol make it even more memorable for you and all of your guests. 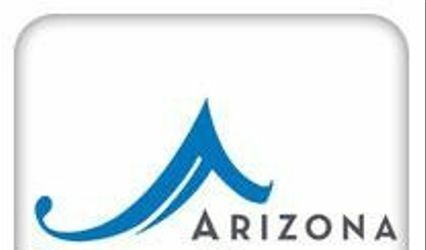 Learn more about our booth at photoboothdelsol.com. 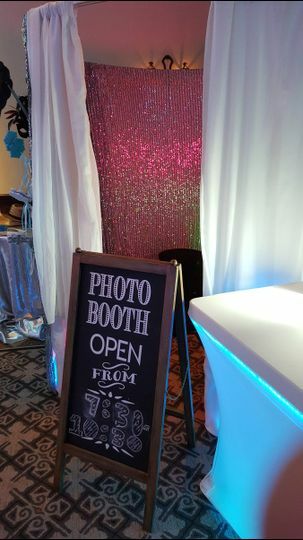 Photo Booth Del Sol is decorative with its unique design and colors to coordinate with your event. 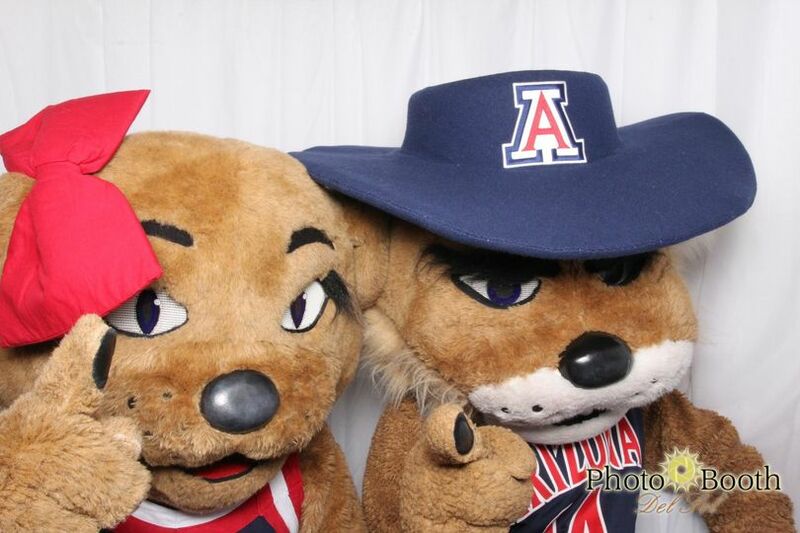 Photo Booth Del Sol will draw crowds and give your guests something to do and talk about together. With Photo Booth Del Sol, it is fun & simple for your guests of all ages to take creative and high quality photos. Everybody will want in! Photo Booth Del Sol is not your typical small mall photo booth. It is spacious inside and can accommodate a large group for extremely fun photos. No one will be left out! Photo Booth Del Sol creates a party with lively music, flashing lights, fun props, and photo effects. Guests will be entertained and will keep coming back. Multiple photos print immediately, for you and your guests to take home. 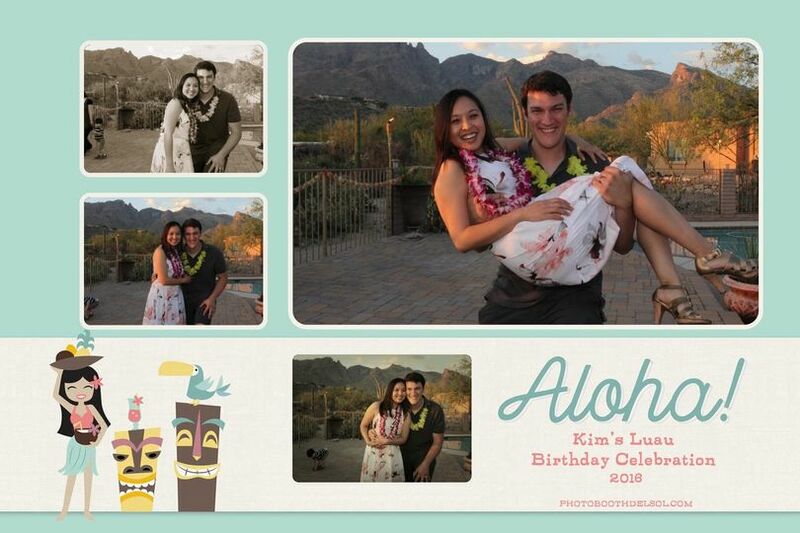 With your logo or monogram stamped on each photo, no one will ever forget about your event. Photos are available and shareable online immediately in real time and we provide tablets so they can see their images on a big screen! Everyone had a great time with the photo booth at our reception! The booth looked very nice, and was big enough to fit 5 or 6 people at a time. 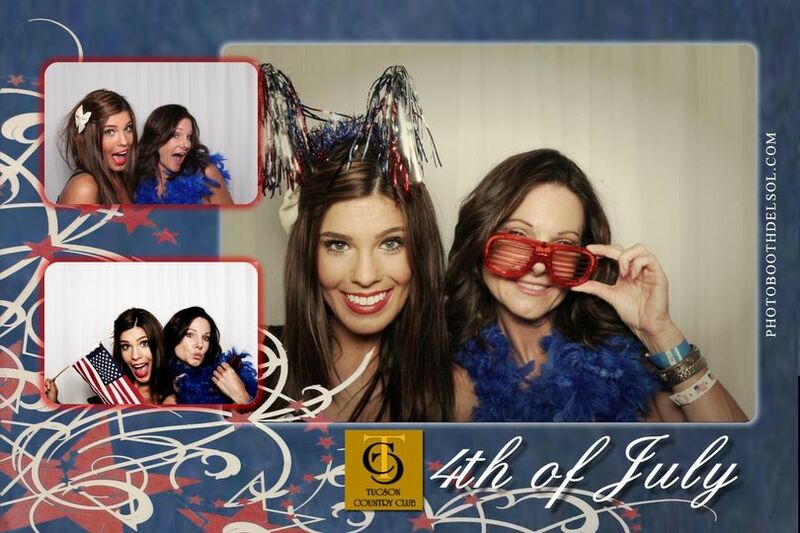 The camera was controlled by a big touch screen inside and gave a classic photo booth feel- lots of fun! At first I was on the fence about props, but most people seemed to enjoy them a lot. We opted for unlimited reprints, which was definitely worth it. We love the printed album we got at the end of the night! It's also great that we can share all the pictures with our guests online. Vu was really friendly, professional, and responsive, and he made us a nice custom design for the background. In addition to the excellent service, Photo Booth Del Sol's pricing was very competitive. Of all our wedding expenditures, the photo booth probably gave us the biggest bang for the buck. Hi Rebecca, we really appreciate the kind words and the fact that you felt we were such a great value! It certainly was a hit for all your guests, and the props just add a little bit of flare, along with the music, and the company of friends and family, that truly make those photos magical. Thank you so much for letting us be apart of your special day! The whole Photo Booth Del Sol team was fantastic! Our guests loved the experience and having a unique and fun way to remember the evening! Would highly recommend! 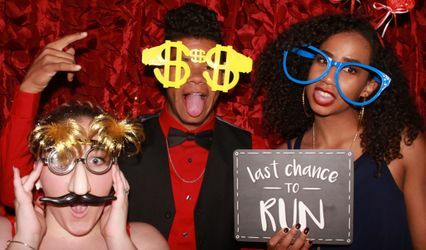 If you are looking for a super fun, classy and awesome photo booth, look no further!! 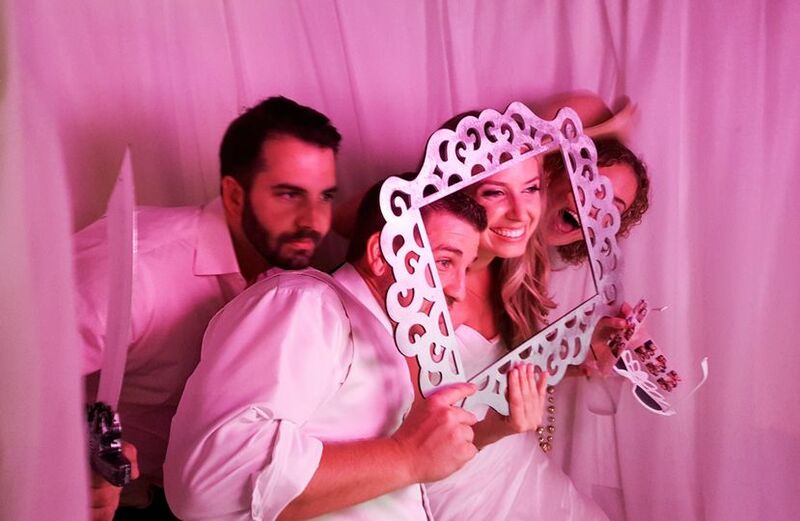 Having used a ton of photo booths at other weddings and events, this one is by far the best!! 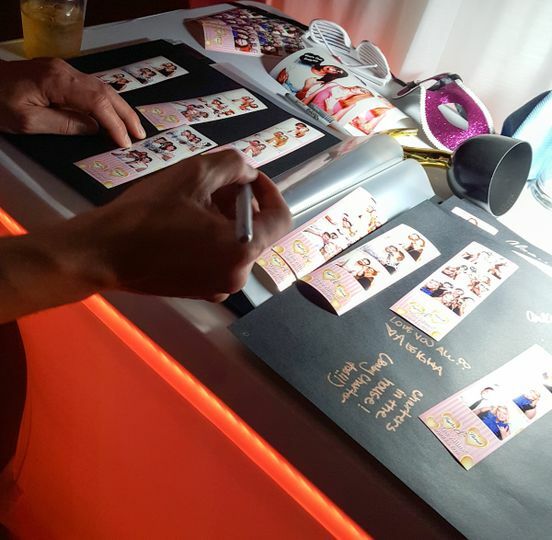 The props are fun, the booth looks nice from the outside and everything is customized to your event - the lighting, the print on the photo strip and the music inside. Our guests had such a great time and the booth really got people chatting that otherwise wouldn't have. Great addition to our party! !